Myth #1: Handling bird eggs or baby birds will leave your scent on them, and this will cause the birds’ parents to reject them. 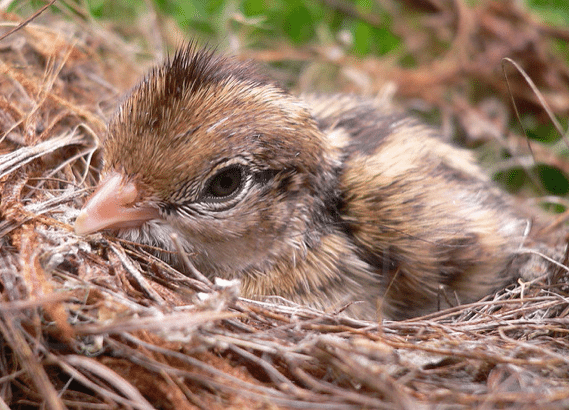 This myth may have originated as a way to discourage kids from touching or disturbing wild bird nests that they discovered while playing outside. After all, what better way to put the fear of God into a small child than by telling them that they could potentially doom a tiny, defenseless baby bird to a slow and agonizing death by parental rejection? Yikes. In reality, though, most birds have a very poor sense of smell. It’s extremely unlikely that a mother bird will even notice a human scent on one of her chicks, let alone discard the baby because of it. It’s still not a good idea to touch baby birds or bird eggs, as it’s very possible for humans (especially kids) to accidentally harm the eggs or chicks without meaning to. You may also wind up tangling with an overprotective Mama or Daddy Bird who sees you as a threat to their offspring! But if you notice an egg or hatchling that seems to have fallen out of the nest or gotten stuck somewhere (e.g., in a storm drain), then it’s probably okay to quickly and carefully scoop the little one up and put it back where it needs to be. Myth #2: Touching a toad will give you warts. Interestingly enough, toads don’t have warts. Those little bumps that cover their skin are actually glands that secrete a bad-tasting, toxic, antibiotic fluid in order to defend the toad against predators and illnesses. 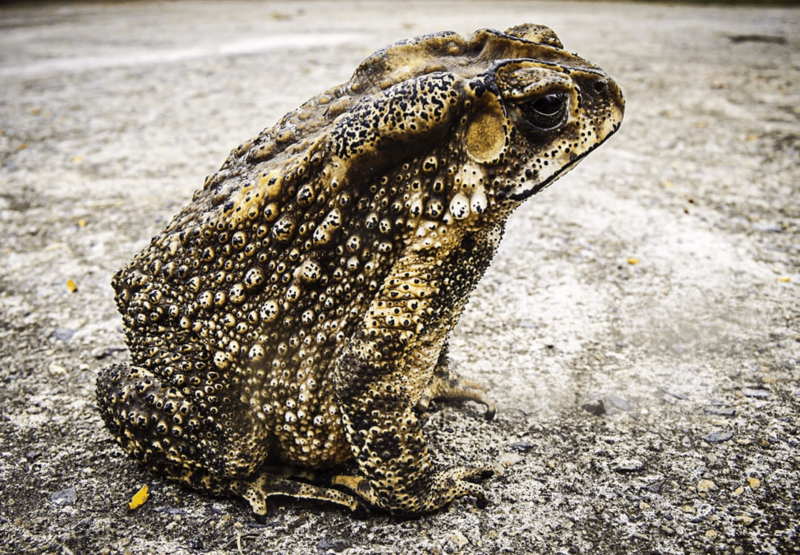 The two prominent bumps located behind the toad’s ears are specifically known as “parotid glands,” and they’re particularly adept at releasing the toad’s defensive fluids in a pinch. Meanwhile, warts are caused by certain strands of the human papillomavirus (or HPV) and are generally passed from person to person. Picking up a toad won’t give you warts, but shaking hands or sharing a towel with someone who has them certainly can. That’s not to say that touching toads is a completely safe activity. The defensive fluid that toads secrete usually isn’t enough to seriously injure a human, but it can irritate our skin, mouths and eyes. Also, toads—like all amphibians—can transmit salmonella (a bacterial infection) to humans while appearing to be perfectly healthy. So even though toads can’t give humans warts, you should still wash your hands thoroughly if you happen to come in contact with one. Myth #3: Opossums like to hang upside-down by the their tails. If you’ve ever seen someone (hopefully a trained professional!) handling an opossum, you may have noticed the critter using its tail to grip the human’s forearm or wrist. Opossums do a lot of climbing over the course of their lives, and their tails often serve as a fifth “hand” to help them keep their balance and hold onto things. However, a full-grown opossum can’t support its own body weight by its tail alone—those tails are muscular and prehensile, but they’re not that strong. And the notion that they like to sleep while hanging upside-down in the same way that bats do is completely false. Now, baby opossums can hang by their tails—they’re small and light enough to do so for a few seconds at a time. But this is a survival technique rather than a way of life; holding on with their tails helps them to not fall from a dangerous height if they slip while climbing or scampering. By the time the opossum is too big to do this anymore, it has probably become skilled enough at above-ground travel that it no longer needs to “catch” itself with its tail. Were you surprised by any of the myths that we just dispelled? These little tidbits are so common in our culture that nearly everyone hears them at one point or another…and many of us who learned them as kids wind up believing them—and even passing them on—as adults. The good news is that you don’t have to be an expert on wildlife to coexist peacefully with nature. Just exercise some common sense, do a small amount of research, and you’ll likely be fine. But if you do find that you need sage advice or assistance in dealing with a critter-related issue on your property, then experts are available to help!